These clever little meatloaves look like porcupines because the rice cooks into the loaf, making them look like quills. They are great meal to make for the kids and are ready in less than 30 minutes, perfect for busy week nights. These gluten-free and dairy-free meatloaves are a real crowd pleaser! Serve with ketchup for dipping or with mashed potatoes. Mix paprika, mustard powder, black pepper, garlic powder, onion powder, salt, thyme, and sage together in a bowl until seasoning blend is well mixed. Combine ground beef, seasoning blend, rice, onion, and egg in large bowl until well mixed; form into small cylindrical shapes similar to porcupines. Add 'porcupines' to the inner steel pot of pressure cooker. Pour beef broth into the pot slowly. Lock pressure cooker lid in place and set steam vent to Sealing. Select Pressure Cook (Manual) and cook for 15 minutes on High Pressure. Turn steam vent handle to Venting to quick-release pressure. Remove lid and use a fork to remove each 'porcupine' one at a time. Making your own meatloaf seasoning blend is a great way to steer clear of preservatives and additives. But if you are short on time, the seasoning blend can also be found in stores under the name Meatloaf Seasoning. Per Serving: 359 calories; 21g fat; 8.1g carbohydrates; 33g protein; 124mg cholesterol; 388mg sodium. The flavor was good. The smoked paprika gave it a really nice flavor. Loved that I didn’t have to cook a separate starch. I can see experimenting with variations. Spanish meat loaves anyone? Store-bought Meatloaf Seasoning worked wonders in this recipe! Really delicious when served with a side of ketchup. I paired it with cheesy broccoli on the side. No need for potatoes, because you already have the starch from the rice. Quick and easy, even for pressure cooker newbs like myself. 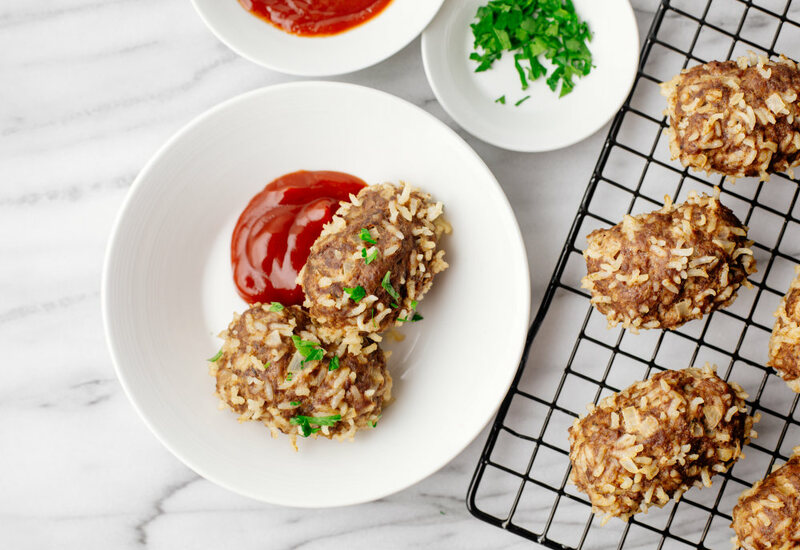 These are a must for weeknight dinner! My kids love eating this. So glad I found something that works for them, because traditional meatloaf just doesn't cut it. The rice adds extra an ingredient incorporated into the dish so that's one less thing I have to cook. Love, love, love!